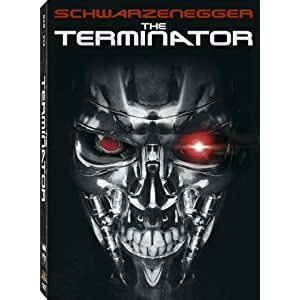 In The Terminator, Arnold Schwarzenegger is a cyborg sent from the post apocalyptic future to find and kill Sarah Connor. Why? Watch the movie and find out! "The 600 series had rubber skin. We spotted them easy, but these are new. They look human... sweat, bad breath, everything. Very hard to spot. I had to wait till he moved on you before I could zero him." The dialog makes you stop what you're doing and watch the movie. This action packed flick came out in 1984 and it's still fun to watch. It's a great action movie, and the source of the classic Arnold one-liner, "I'll be back." For guys who like action, science fiction, and Schwarzenegger films, this one is a must-have.